When it comes to music, dance, theatre or anything of this nature i have quite a wide and varied preference. We will take music as our example. My all time favourite band are the legendary Guns and Roses, the first gig i was ever bought a ticket for was Motor Head. I also love to listen to Fall out boy or Imagine Dragons. Admittedly my taste does lean a bit further towards the rock genre than any other. 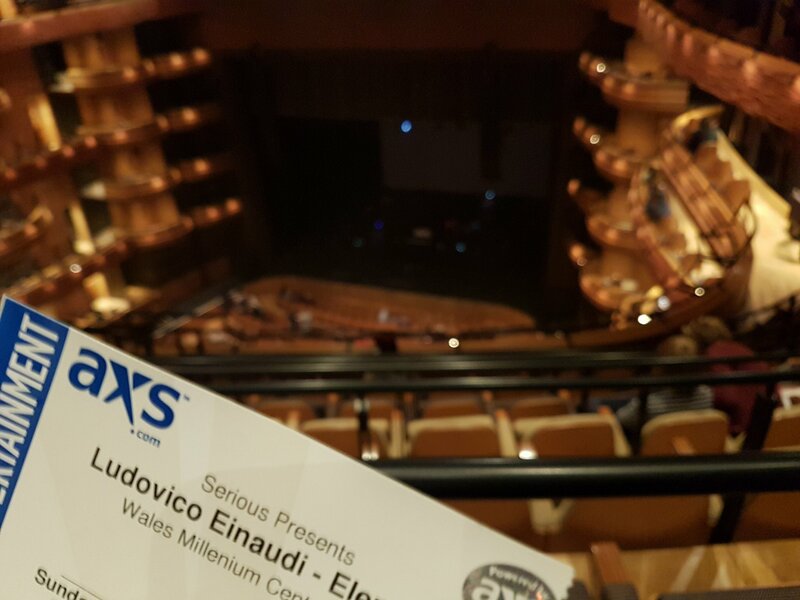 Despite this as the years pass i find myself with a growing passion for classical music and at the for front of this passion is the incredible Italian musician Ludovico Einaudi. I’m fortunate in the fact i share this passion with two of my close friends. In fact the music speaks to us so much we found ourselves road tripping from Nottingham to Cardiff and back in a night just to attend one of the few of his final concerts. The concert was to be held at Cardiff’s Mi llennium Arena, a beautiful building positioned in Cardiff bay. I wish i could say we drove for three hours took our seats enjoyed the best concert i had ever been to and then drove home without a hitch. But I was involved in this venture and history shows i apparently like to take a little bit of trouble with me wherever I go. We arrived at the stunning arena on time and took our seats. Only to find that our seats had in fact been double booked. Due to the fact our tickets had been purchased on an independent ticketing website it meant that our tickets were invalid. Admittedly the staff at the arena were incredibly sympathetic and set about trying to help us resolve the issue. It did mean having to purchase three more tickets two of which were standing. Luckily from there on in it was plain sailing and i got to witness what was undoubtably the single best performance by any group of musicians i had ever had the pleasure of encountering. The first half featuring music from his latest album Elements and the second half featuring some of his older music and my personal favourite piece of classical music. Every element of the show was timed to perfection and i could of watched the two performers on the string instruments all night! Truly this experience topped any live music event i had ever been to and i will be focusing now more on seeking concerts like this rather than the rock gigs i have come custom to. Frankly i have struggled to write this post without just spewing words all over the page in some nonsensical rambling. It is an experience i will carry with my for the rest of my life and something i urge everyone to try.